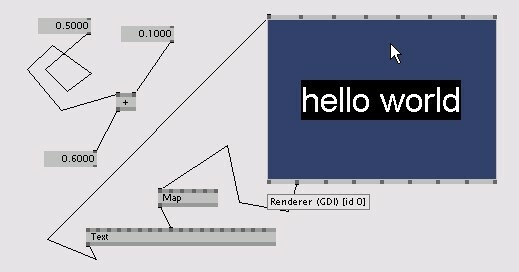 NODE emerged from the community around the graphical programming language vvvv as a place to finally meet in person. Shortly after the multipurpose software toolkit was made publicly available, it attracted a growing number of people from the digital- and generative design and art sphere around the globe and quickly became a widely used software among practitioners in the professional field of creative media. Ever since, the need to exchange ideas and knowledge in a physical space grew extensively. In 2008, David Brüll, Sebastian Oschatz, Thomas Hitthaler and Eno Henze initiated the first NODE Forum with the support of the vvvv founders & core developers, MESO Digital Interiors and the most active and professional users of the scene in Frankfurt (Main), Germany. Since its first edition, we share the vision of creating more than a large scale expert meeting of developers and users. A spirit of openness, knowledge sharing and idea exchange with other disciplines is an integral ambition of the community. NODE picked up this spirit and took a broad scope across media, professions, cultures and generations through a multifaceted program and by bringing together engineers, coders, designers, artists, politicians, scientists, architects, philosophers and curious individuals – from student to expert. Today, NODE has grown into an internationally established digital arts festival, a critical school and open platform for students and the industry of creative media, the arts and the public. 2016 The fifth festival edition NODE17 Designing Hope is in the making. David Brüll hands over the festival direction to Jeanne Charlotte Vogt and Johanna Teresa Wallenborn. David Brüll and Sebastian Oschatz form the board of the registered non-profit organization. 2015 NODE opens up to the wider public and celebrates its so far most successful edition in collaboration with Künstlerhaus Mousonturm and Naxoshalle / Theater Willy Praml and studioNAXOS. NODE15 Wrapped in Code – The future of the informed body discusses the relationship between technology and the human body. 2013 The third festival edition NODE13 – The Rules once more takes place at Frankfurter Kunstverein. We launch the NODE/TADAEX exchange program in collaboration with Goethe Institut Tehran and the TADAEX festival in Iran. 2011 In collaboration with Processing Frankfurt and basis Frankfurt e.V., NODE kicks off the NODE+CODE lecture series. 2010 NODE Verein zur Förderung Digitaler Kultur e.V. is founded as a registered non-profit association. David Brüll and Eno Henze partner up with Frankfurter Kunstverein to host the second festival edition NODE10 abstrakt abstrakt – The Systemized World. 2008 First festival edition NODE Forum for Digital Arts takes place in Frankfurt. 2007 David Brüll, Sebastian Oschatz, Markus Berger, Thomas Hitthaler, Patrick Raddatz, Eno Henze, Hans Romanov, Alexander Graf and Sebastian Huber form the first NODE team. 2006 A small group of vvvv users and freelancers working for MESO recognize the need to exchange in a personal setting: The NODE idea is born.